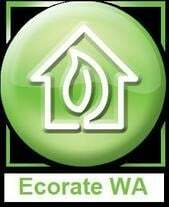 Ecorate WA attended the Residential Building Mandatory Disclosure session held in Bunbury on the 8th of August 2011. As there was a small attendance we were able to have one on one consultations with the people from the Allen Consulting group as well as from the WA office of energy. There was a diverse cross section of people who attended and everyones input was noted. If the government goes with option 1, it will only be a good thing for Australia's existing building stock.